Happy Valentine’s Day! 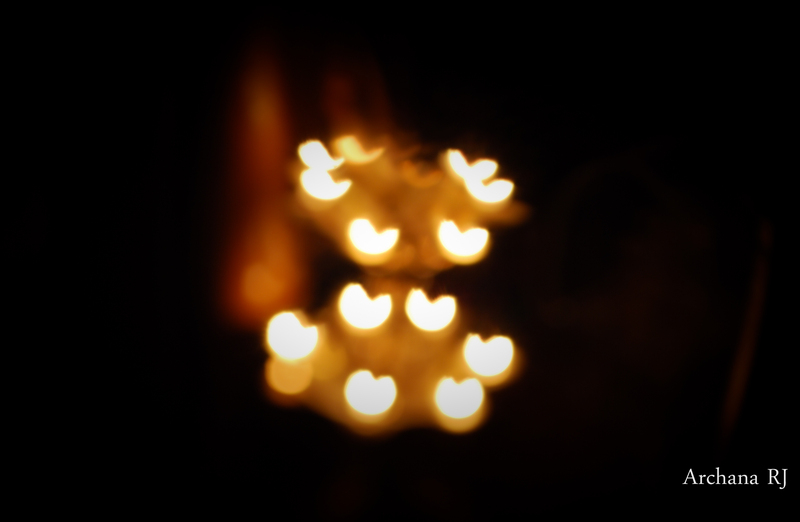 This time instead of plain color bokeh, I decided to do something creative. 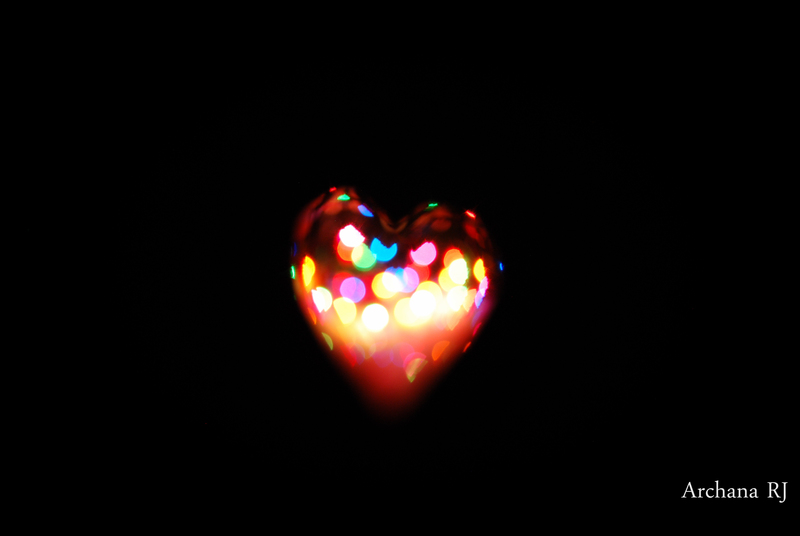 I wanted to get some heart shaped bokeh, so I created my own heart bokeh with a black paperboard (DIY – Create your own Bokeh tutorial). What I really didn’t pay attention to was I forgot to set my camera to the lowest aperture value. I tried and tried and still I ended up clicking pictures like the one above and below. Before I call it a day, I corrected my mistake and tired once more, below is the result. 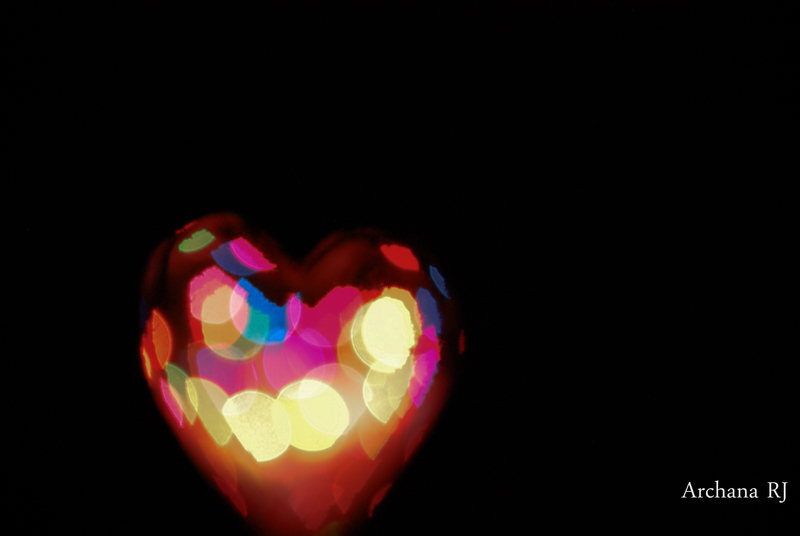 Not a perfect heart shape, but somewhat close.